In a blow to the Obama Administration’s efforts to phase out coal-fired power plants and encourage energy production from renewable resources, the United States Supreme Court has thrown out the Environmental Protection Agency’s (EPA) new rules requiring coal-fired power plants to cut emissions of mercury and other pollutants. The fatal flaw in the EPA’s new rules: the agency failed to properly account for the costs of the new regulations before it adopted them. 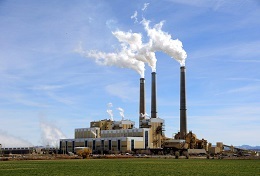 The Clean Air Act permits the EPA to regulate power-plant emissions only if it concludes that “regulation is appropriate and necessary” after studying the hazards to public health. 42 U.S.C. § 7412(n)(1)(A). Justice Antonin Scalia, writing for the 5-4 majority in Michigan v. EPA stated, “[t]he Agency must consider cost—including, most importantly, cost of compliance—before deciding whether regulation is appropriate and necessary.” The ruling does not prohibit the EPA from promulgating limits on mercury emissions. However, the agency must first consider the price. It remains to be seen whether the EPA will be able to do so during President Obama’s remaining term in office. For more information on this important case or questions on related environmental law issues, please contact David McCay, a Massachusetts real estate and environmental litigator at Mirick O’Connell at (508) 791-8500. This entry was posted in Environmental, Hazardous Materials and tagged David McCay, Environmental Attorney, Environmental Protection Agency, Justice Scalia, Massachusetts environmental attorney, Michigan v. EPA, U.S. Supreme Court. Bookmark the permalink.